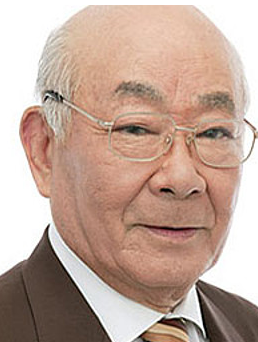 Dr. Eggman's Japanese voice actor is dead? They better not replace all of the Japanese Sonic voices like they did with the English voices. Koji Yusa is an awesome voice for Shadow. That's awful. My condolences for his family. This guy was one of the coolest voice actors I've ever heard. I'll always remember his performances. Hate the Weil, love Eggman, love this guy. He shall be missed. Realy awesome voice, rest in peace. This is the guy who invented Eggman's trademark: "Oooooh-hohohohoho!" laugh. Mike Pollock was imitating him when he brought it to America. He will be dearly missed. Well, he did have a pretty good, long run. Anyway, please don't call him "Weil", and don't call Vava "Vile". We need to get English fans back on track with this. "Weil" is a stupid name, not to mention being too close to "Wily". 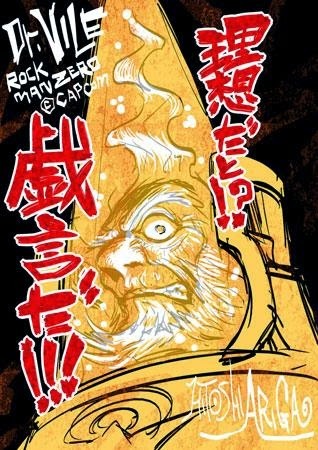 It doesn't help that he kind of looks like Wily, either. The only good name changes are Megaman, Bass, Treble, and Auto. "Forte" would have been good to keep for the character, if not for "Gospel", which makes no damn sense whatsoever. At least they never flat out switched a bunch of character names around for localization, like they did in Street Fighter II (M. Bison, Vega, and Balrog). How brain damaged does one have to be to think that's a good idea? Why not just make new names? I hope the people who decided to do that had something bad happen to them because of it (but not TOO bad ;)). "How dare you use the widely accepted English names! Stop pandering to the dub-playing plebeians and appeal to MY sensibilities!" Good. You would do well to appeal to my sensibilities. I have great taste. "Anyway, please don't call him "Weil", and don't call Vava "Vile". We need to get English fans back on track with this. "Weil" is a stupid name, not to mention being too close to "Wily". It doesn't help that he kind of looks like Wily, either." He was also Master Xehanort, so I'm really wondering how they plan to work around the fact that the voice for a major villain isn't present anymore. However, you're free to have no taste and like dumb things[...]"